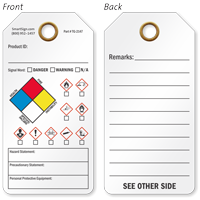 Hazard communication is best carried out with tags that are strong enough to withstand exposure to harmful chemicals. 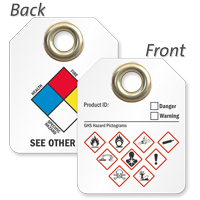 Our tough plastic tags stay intact even after coming in contact with dangerous chemicals. 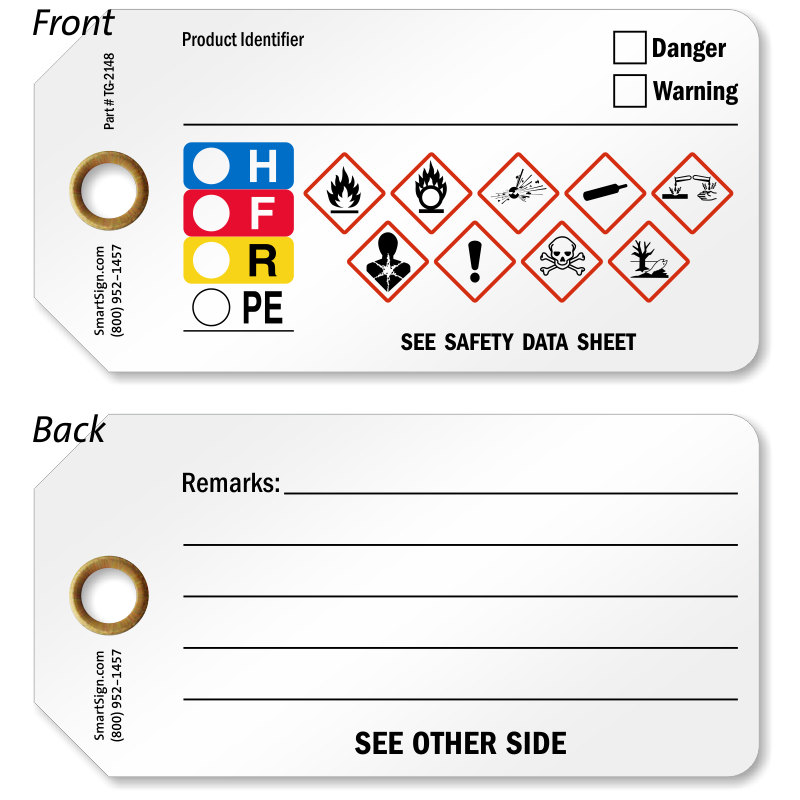 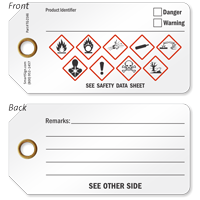 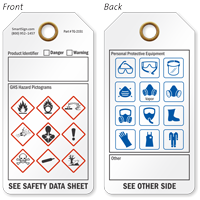 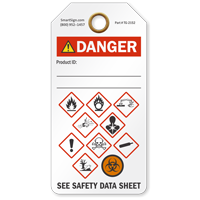 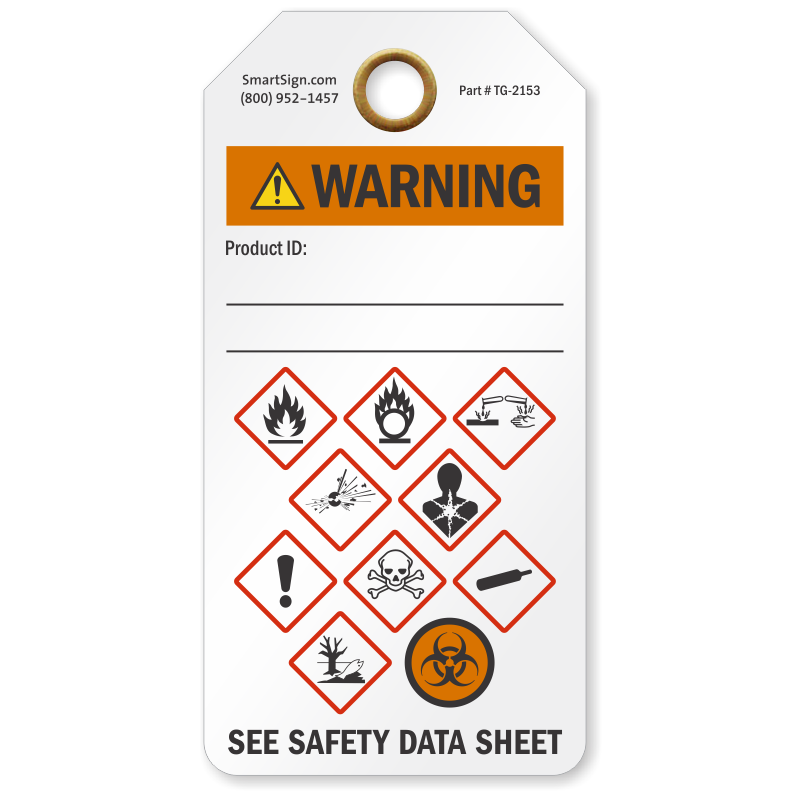 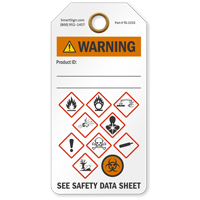 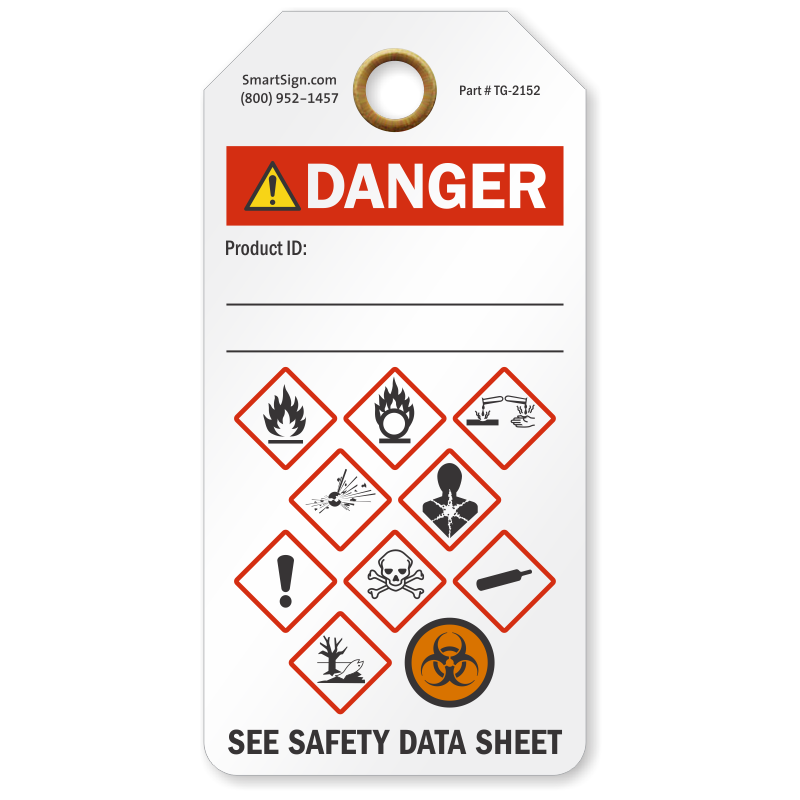 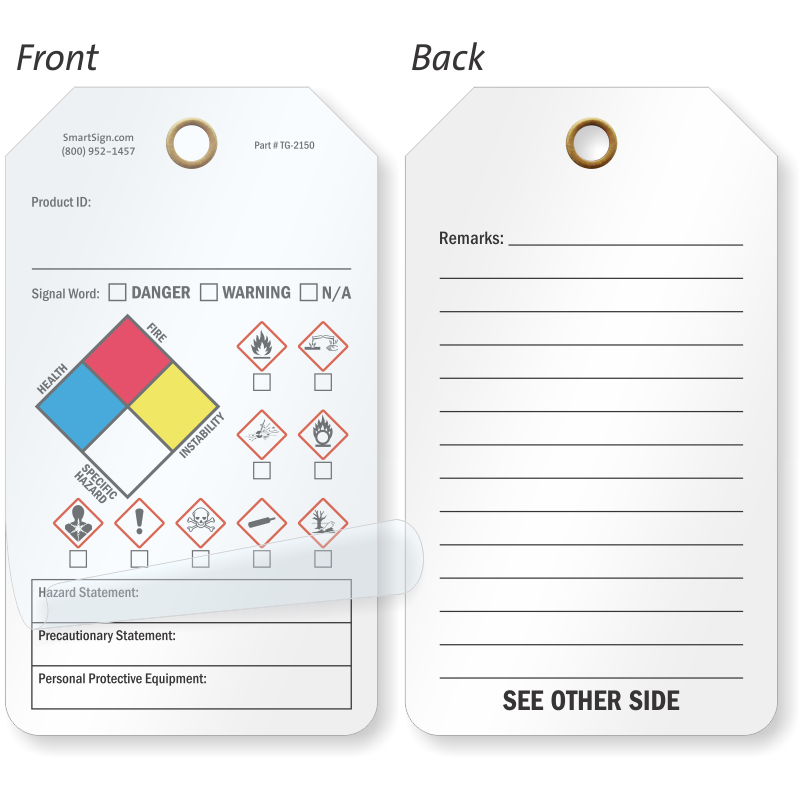 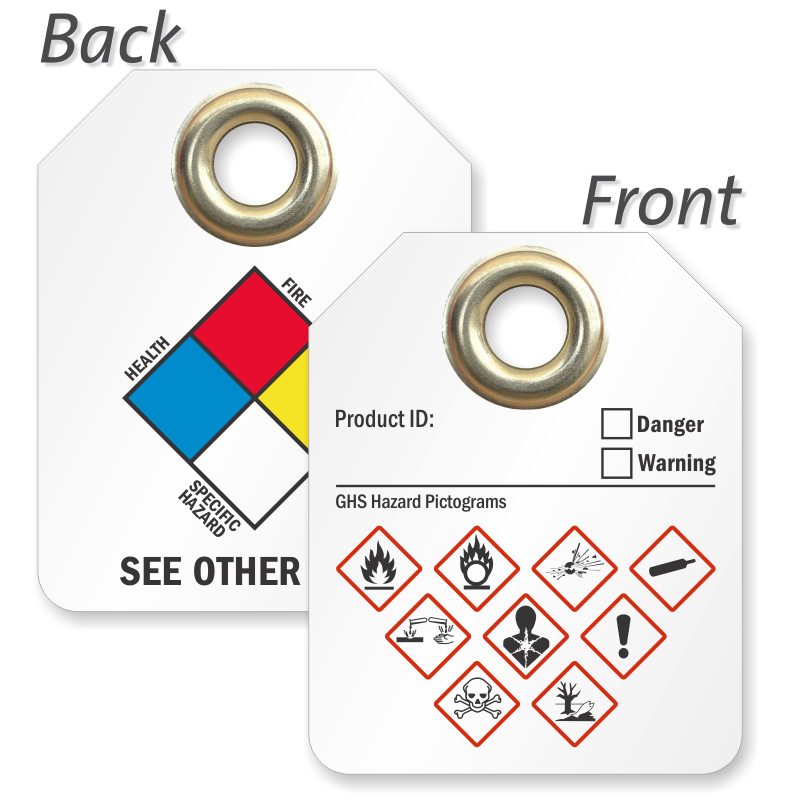 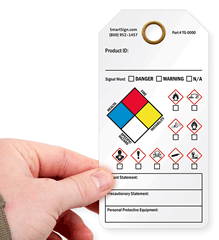 Both, GHS Tags and NFPA Tags feature universally recognized pictograms making it easy for workers to gauge hazards and apply protective measures. 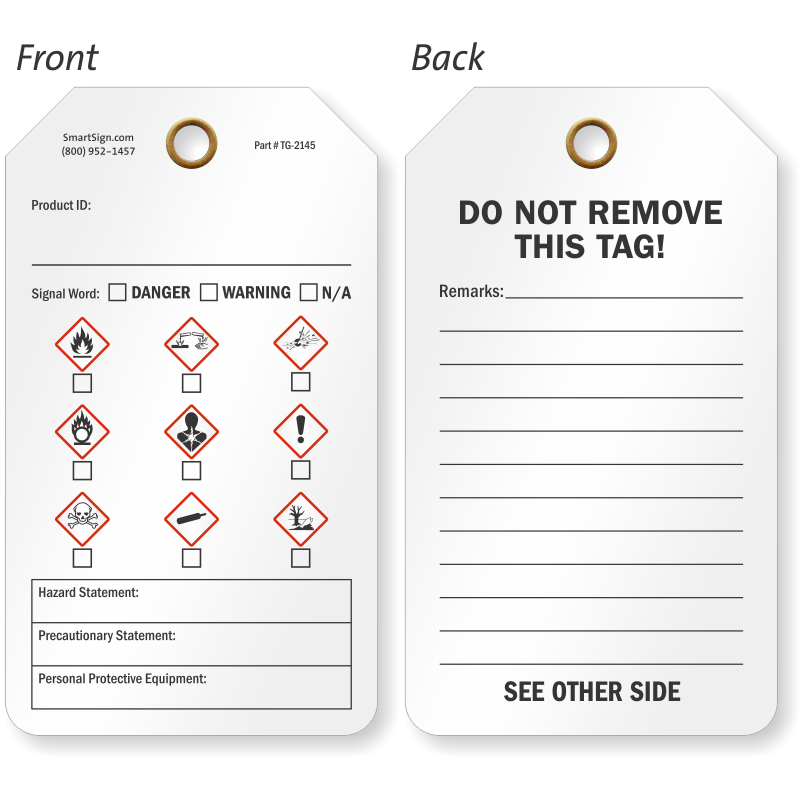 • It’s easy to write on tags. 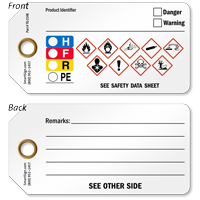 You can use a pen or permanent marker to write in the designated space. 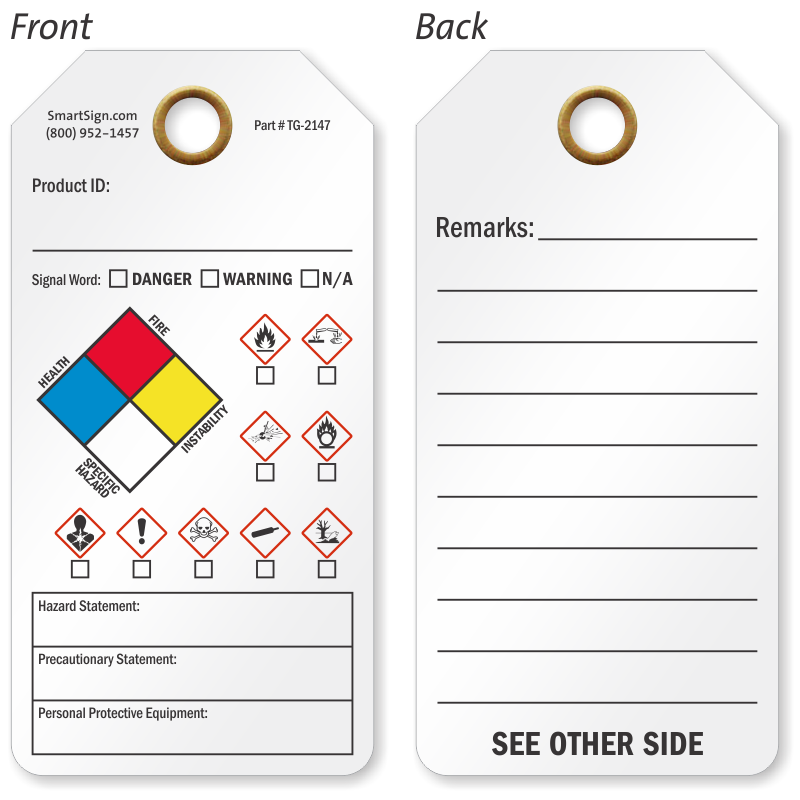 • Tags come in different dimensions, orientations, and thicknesses. 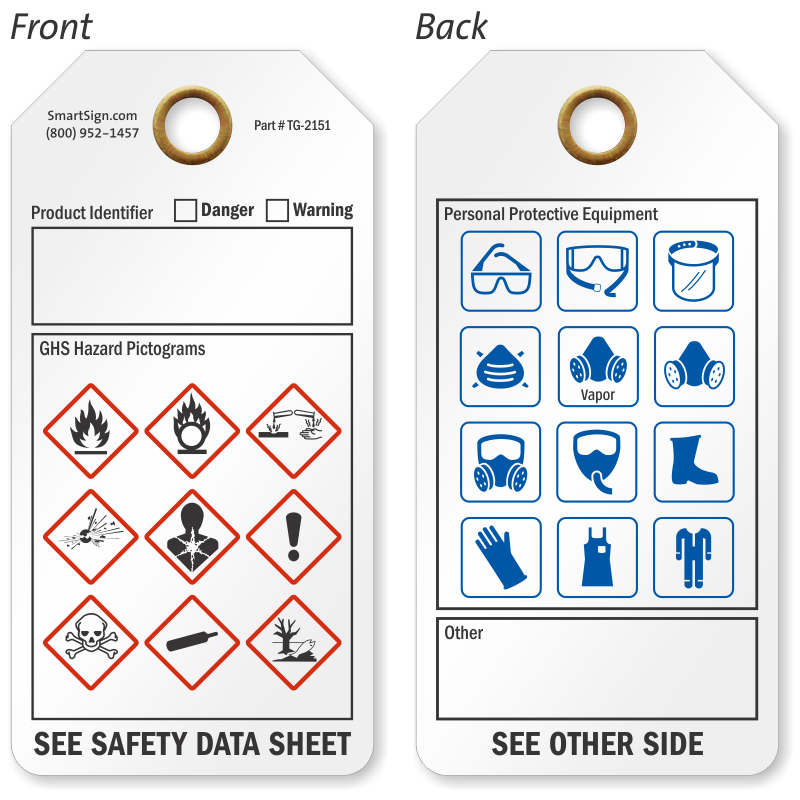 Choose the one that best fits the bill. 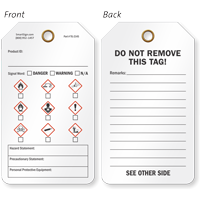 • Most tags are printed on both sides. 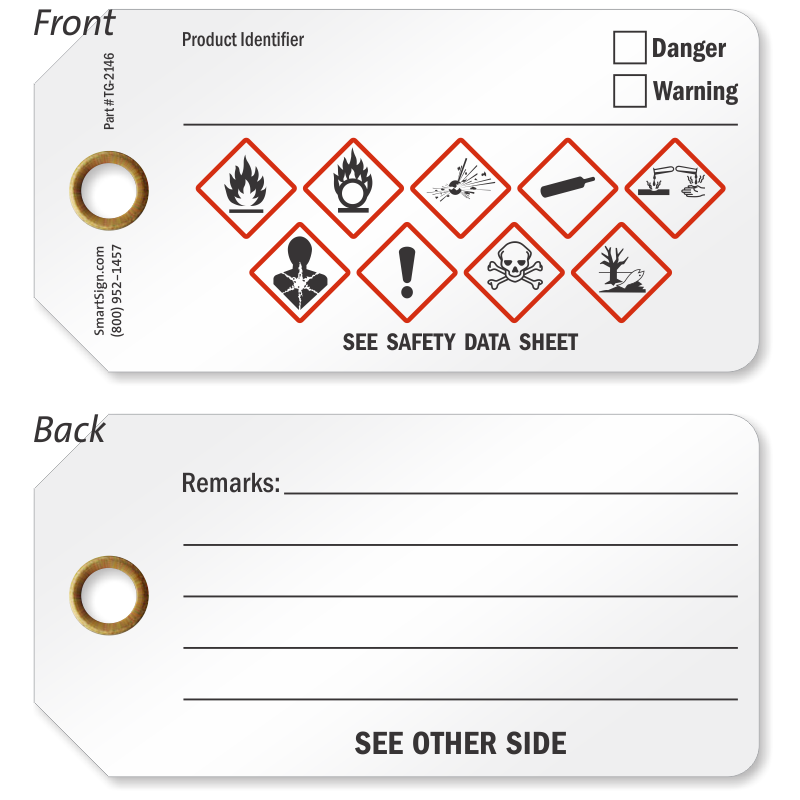 We also offer self-laminating tags to protect your handwritten information from smudging.